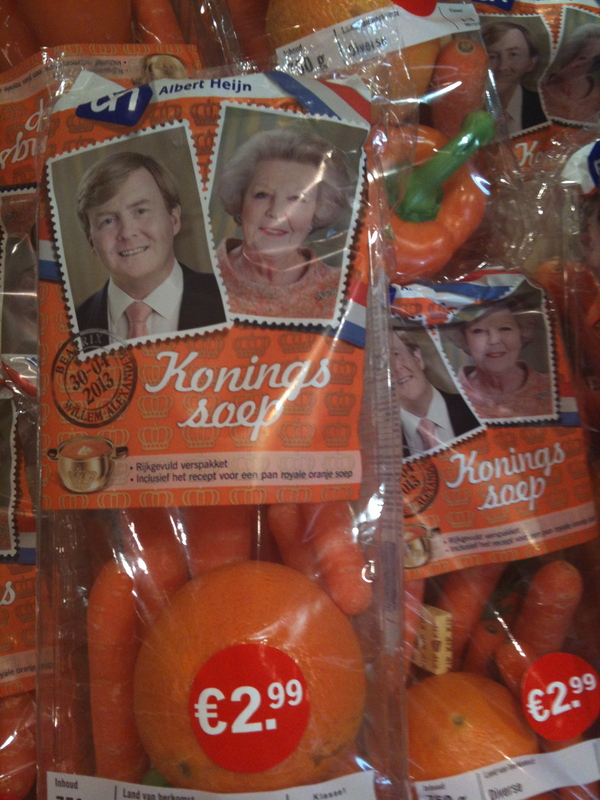 When I moved here in March, I wanted to have this blog up and running by Koninginnedag. That was yesterday. Koninginnedag (pronunciation: cone ing in a da – it’s actually super fun to say), means Queen’s Day, and it’s a national holiday here – schools and businesses are closed. 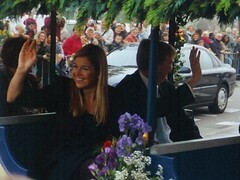 This year is remarkable because Queen Beatrix is abdicating her throne, so that her son, Willem-Alexander can become king. Before we moved here, I figured that we would go to Amsterdam, because that is where the palace is, and it is going to be a huge party, and basically, I thought, party, Amsterdam, yes please! We ended up staying in Leeuwarden for a number of different reasons. It’s a little surreal for me, I’ve never had a monarch, and the US was formed after revolting from one, but it is fun to see how excited everyone is here. And they seem charming, especially Willem’s wife Maxima, who’s from Argentina, has lived here for fourteen years, and is now fluent in Dutch. We’ve already seen lots of houses with banners and flags. If we see anything good, I promise to document it, and not wait a month to post. Check out this flag: eat your hearts out car dealerships! I am so excited to hear more about your experiences and random thoughts abroad! Thanks for sharing, Amy. This is great! I’m looking forward to hearing more about your big leap. Looking forward to your posts Amy! Congratulations on the move! I lived in the Netherlands for a summer in College in Maastricht and I love exploring all of Europe. I am so happy for you and you are truly a great writer! Good luck to you! I wish I knew that earlier! How great – Maastricht is right by Belguim and Germany right? I haven’t been, but when we do go I’ll hit you up for tips. Good to hear from you! 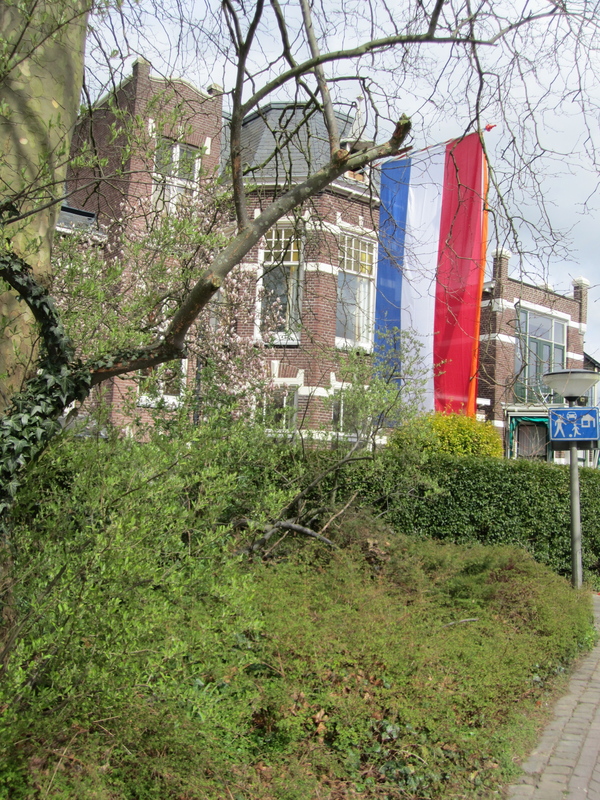 What a great story and interesting to read how our queen’s day is pronounced…. Hilarious, keep writing! The story about the dutch kids book, the bear…. Etc. Can’t wait to see it!